I stood at the top of the steps to Berlin’s Altes Museum. Before going in to view the museum’s collection of classical antiquities, I paused for a moment to admire the impressive view at the end of Museum Island. It was just as inspiring as all of the amazing works I had already seen, particularly those in The Renaissance special exhibition in the Bode Museum. There was not enough time to see all of what Berlin’s Museum Island had to offer on my RIAS Berlin Kommission trip. We were in meetings much of the day and the museums were generally closed at night. So when presented with the choice of which museum to visit, possibly the only one I would see while in Berlin, I chose the Bode Museum. The Renaissance exhibition interested me and I found the history of the building fascinating; bullet holes from a World War II battle are still visible on the building’s exterior. Following a Spree River cruise, our group splintered in several different directions. One other member joined me, though, to see what the Bode had to offer. Initially I was put off by a large amount of religious art, although quite impressive in its own right. But, after exiting the museum in such an excited state, I had no doubt that we chose the best museum on the island. 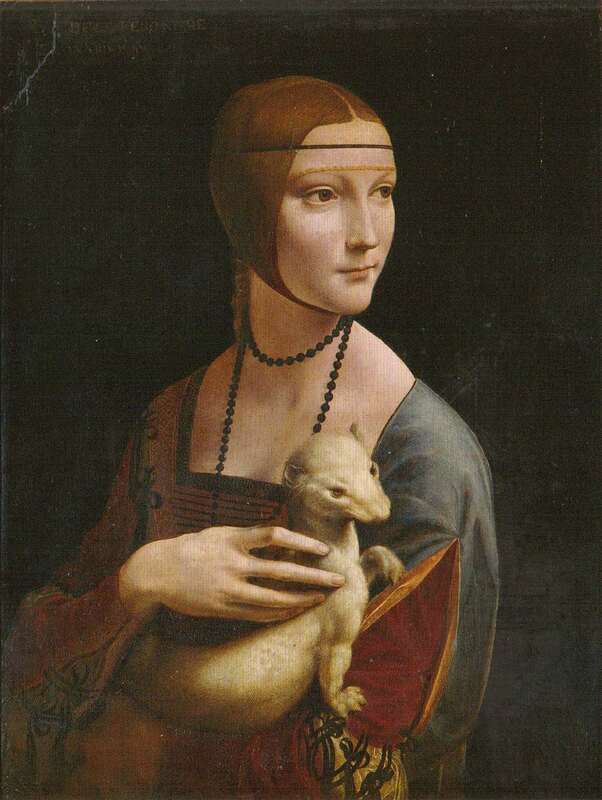 The special Renaissance exhibition had us both babbling with giddiness after all of the amazing pieces we viewed. The exhibition was littered with works by Botticelli, pieces collected by the Medici family, and a work likely done by Raphael, all of which were crowned by two da Vinci’s (right). My only disappointment was that photographs were not allowed, so I now have to remember such great works with post cards purchased in the gift shop, It is probably for the best, though, since I would likely still be in the exhibit taking photographs at this time. Several days later, skipping out on a group daytrip to Potsdam, I found the time to return to Museum Island. I briefly stopped in to see the DDR Museum. It is techincally not on the island, located on the opposite bank of the Spree River. The museum was a fascinating look into the life in East Germany during the Cold War. 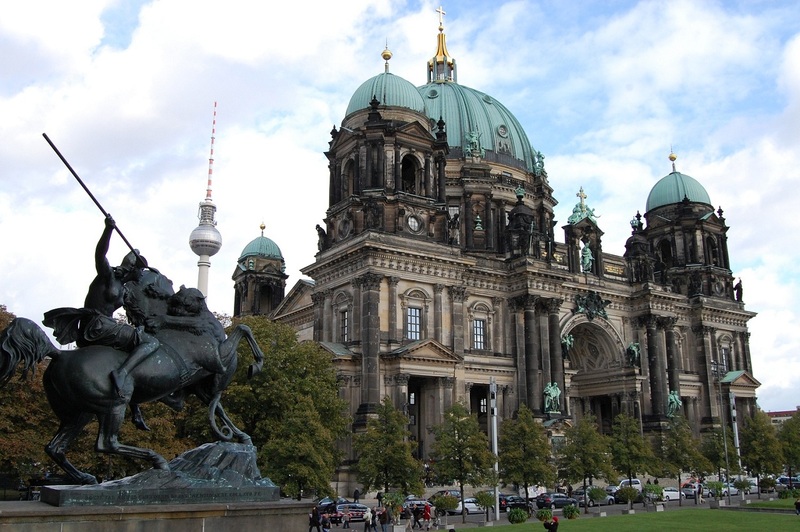 Eager to return to Museum Island, I then crossed back over the Spree to the Berlin Dome. The massive church was open, but at a price. I decided to skip it in favor of the Altes Museum. Appreciating amazing works that have survived millennia attracts me on several levels; the craftsmanship is certainly exquisite, but the fact that the pieces have survived for so long takes my breath away. So while I was interested in seeing the inside of the church, it was another church – just like so many others I’ve seen – so I gambled that the Antes Museum would have works like I’ve only seen in the halls of the Louvre and the Metropolitan Museum of Art in New York City. I was not incorrect in my assumption. The detailed sculptures pleasingly leapt to the eye, mosaics with incredibly tiny tiles wowed, and the building’s rotunda was worth stopping to see all on its own. In awe of what was on display, I wandered the halls on two levels for a couple of hours. It was easily artistic bliss. I wanted to stay longer, more closely examining so many fine details, but with so much more to see in Berlin I could not justify the time when I was already on such a tight budget. And so, with a twinge of regret and a quick look over my shoulder, I exited the Altes Museum and stepped toward Alexander Platz; I needed to catch the bus and continue on, taking time to see more of Berlin’s Grand Circle. I recommend it! Berlin is a great place to explore. Jason, what an awesome post and a great blog!